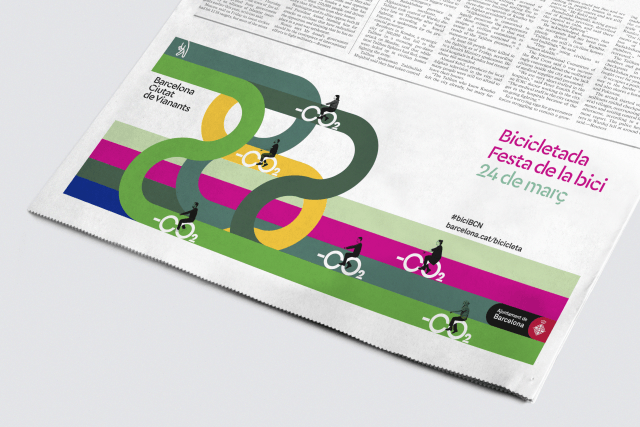 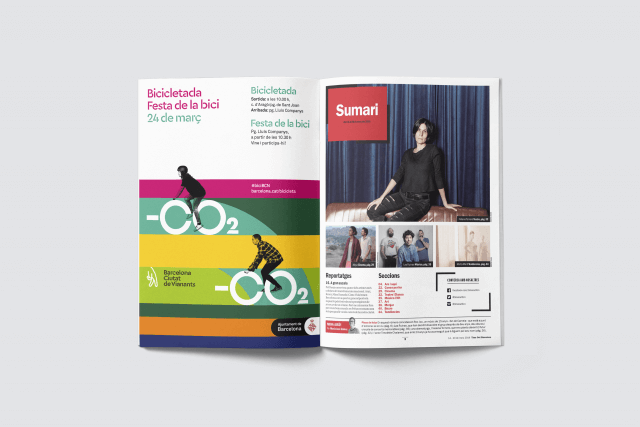 Mucho was asked to design the posters and collateral for this years ‘Bicicletada’. 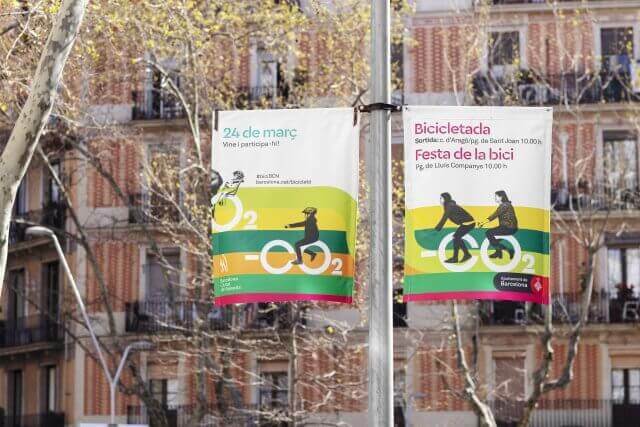 Every year the city of Barcelona celebrates a day dedicated to bicycles. 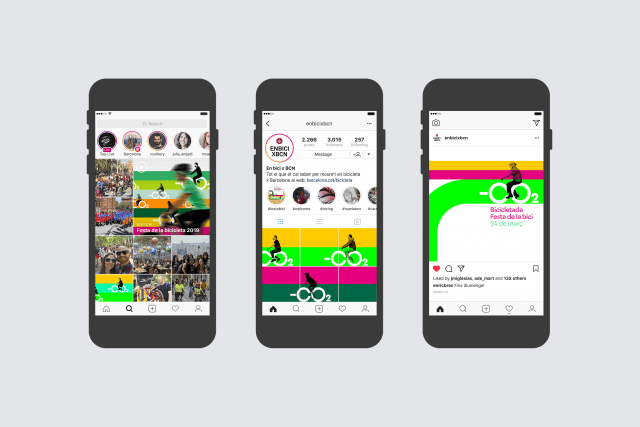 Special bike related activities happen all over town, including a large parade where families are encouraged to ride together to show their support. 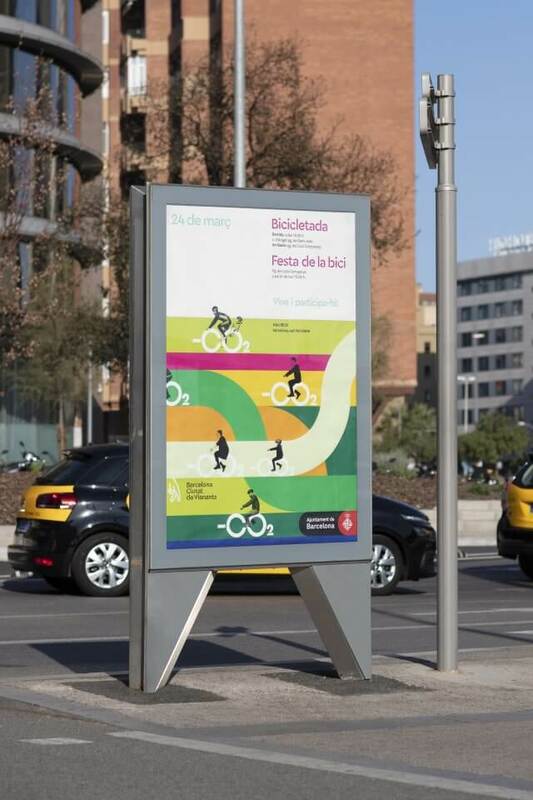 The day is also used to promote modern mobility and sustainability throughout the city. 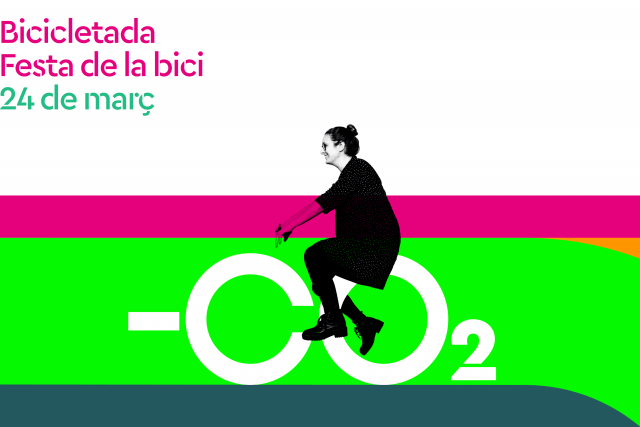 The campaign highlights the fact that when people choose to use a bicycle there is far less Carbon Dioxide pollution than a car. 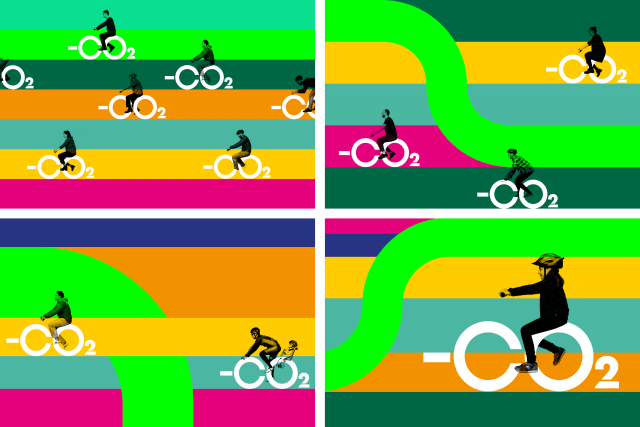 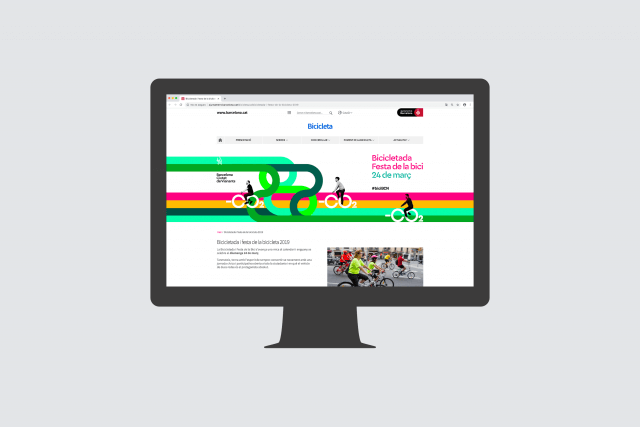 The typographical solution shows people riding ‘ – CO2’ bikes therefore turning each cyclist into a campaign supporter helping to create a better world for us all.